While the state's terrain is quite rugged being in the heart of Appalachia Tennessee was blessed with a sound railroad system given that so many large cities popped up within its borders such as Memphis, Nashville, Chattanooga and Knoxville. While the state has lost nearly 1,500 miles from its peak network of just over 4,500 miles Tennessee is still plays a vital role for the indusry. 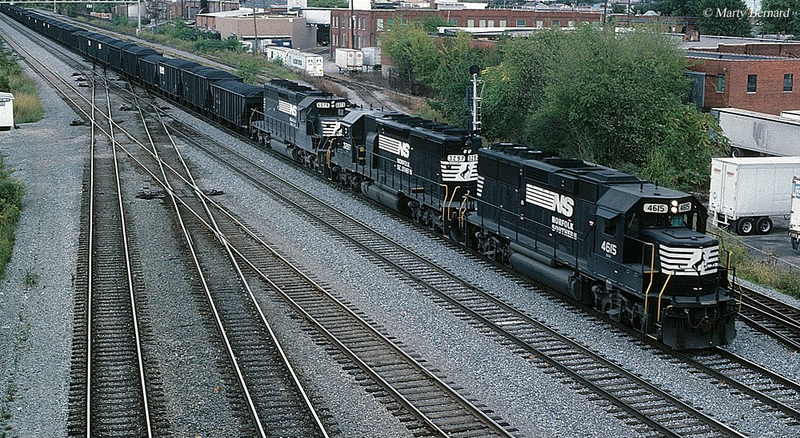 If you are interested in Tennessee railroad jobs the state is home to six of the seven Class Is (four of which only reach Memphis including the Kansas City Southern Railway, Union Pacific, BNSF Railway, and Canadian National) and more than a dozen shortlines. Despite its location in Appalachia, coal is not a major producer of originated freight tonnage for Tennessee. Instead, it is quite diversified from chemicals and timber products to food and intermodal. A career in the railroad is certainly something which I would recommend taking your time to research beforehand, particularly if you are not all that familiar with the industry. Working for a Class I in the fields of transportation or maintenance offers excellent pay, retirement, and benefits. However, it requires incredibly long hours, on-call whenever you are needed, and a schedule that is completely unpredictable. As such, some realize it's not for them as it's very difficult trying to juggle a family life while constantly being out on the road. If you are lucky enough to hire on with a smaller railroad this may be the way to go if you truly want to work in the industry. While the pay not be quite as good the hours and schedule are usually much more predictable (for instance, many shortlines only operate Monday through Friday). Please be aware that while I try to make sure everything listed below is completely updated I cannot 100% guarantee that this is always the case. Finally, if you are attending college and looking for an internship or graduate program in the field of business during the summer months please check out the career pages of the Class Is, many offer such. Caney Fork & Western Railroad: The CF&W, owned by Ironhorse Resources, Inc., is shortline connecting Tullahoma (where it has a connection with CSX) with Sparta, a distance of about 61 miles. It is owned by Ironhorse Resources. Please visit their website for career information. Chattooga & Chickamauga Railway: The C&C is part of Genesee & Wyoming's vast collection of shortlines and operates between Berryton Georgia and Chattanooga, on a system that stretches about 50 miles. Please visit G&W's primary website for job information. East Chattanooga Belt Railway: This terminal/switching railroad serves the local area of Chattanooga owns about 4 miles of track. The railroad is operated by the Tennessee Valley Railroad Museum. For possible job opportunities please visit the museum's website. East Tennessee Railway: Another Genesee & Wyoming property this short line operates a 14-mile section of line between Johnson City and Elizabethton. Franklin Industrial Railroad: This small carrier operates nearly 16 miles of track between Crab Orchard and Harriman Junction at Rockwood. The railroad began service in 2001. Address: 10583 Highway 70 East, Crab Orchard, Tennessee 37223. Heritage Railroad: This small short line is owned by Energy Solutions, LLC and operates about a 12-mile section of railroad near Blair serving local industries. Please visit Energy Solutions' website regarding employment. Knoxville & Holston River Railroad: This short line is one of Gulf & Ohio's family of railroads, operating about 20 miles of trackage near Knoxville where it connects with both NS and CSX. Please visit the Gulf & Ohio website for job openings and related information. Kentucky West Tennessee Railway: The KWT Railway, a G&W subsidiary operates two unconnected section of track, totaling just about 70 miles, in northwestern Tennessee that also reaches Murray, Kentucky. Mississippi Central Railroad: This short line is one of Pioneer Rail Corporation's railroads, operating mostly in northern Mississippi but also reaches Grand Junction, Tennessee. Please visit Pioneer Rail's website for all information relating to employment with the company. 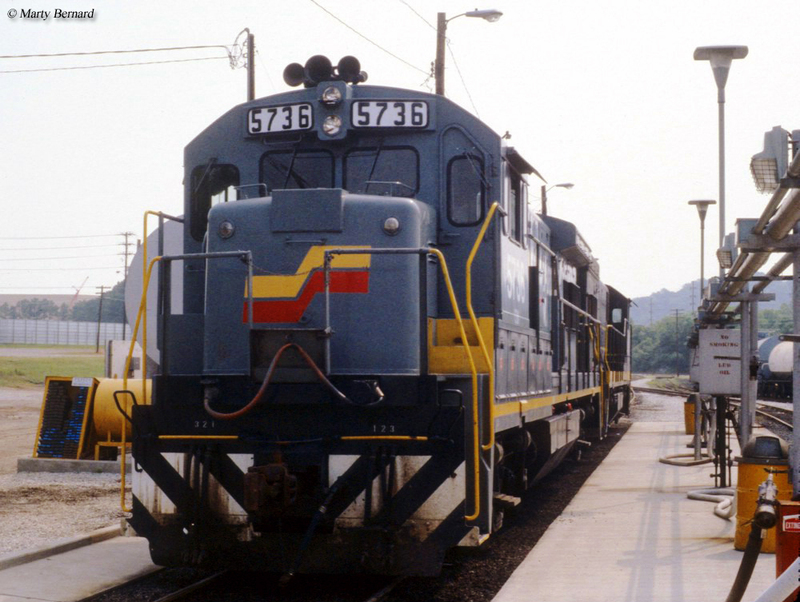 Nashville & Eastern Railroad: The NERR began operations in the mid-1980s and today operates about 130 miles of track between Nashville and Monterey. The railroad also hosts occasional excursion trains as well as the recently started Music City Star, a commuter train serving Nashville. They maintain their own website and may be contacted there regarding employment. Nashville & Western Railroad: The Nashville & Western is owned and operated by the Nashville & Eastern. RJ Corman Railroad - Tennessee Terminal: RJ Corman operates several rail-related businesses, including short lines in a number of eastern states. One of these is the Tennessee Terminal which operates between Memphis, Tennessee and Olive Branch, Mississippi. Please visit RJ Corman's website for job information. Sequatchie Valley Railroad: This short line operates between Bridgeport, Alabama and Jasper, Tennessee. It handles a few thousand carloads annually. To contact the railroad; 109 Second Street, South Pittsburg, Tennessee 37382. 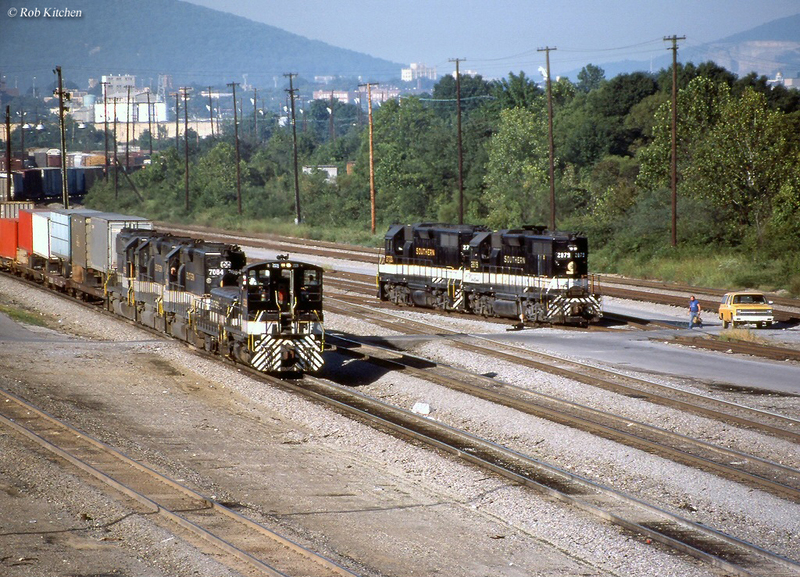 Tennessee Southern Railroad: This railroad is owned by the Patriot Rail Corporation and operates nearly 150 miles of track between Columbia and Pulaski, and also reaches Florence, Alabama. Please visit Patriot Rail's website for career information. Tennken Railroad: The Tennken began service in 1983 when local governments in Kentucky rescued the former Illinois Central Gulf main line between Dyersburg, Tennessee and Hickman, Kentucky that was slated for abandonment in 1981. The trackage is about 51 miles in length. Address: 1200 East Cherry Street, Dyersburg, Tennessee 38024. Walking Horse & Eastern Railroad: This eight-mile short line serves the communities of Shelbyville and Wartrace with an interchange to CSX. To contact the railroad; P.O. Box 1317, Shelbyville, Tennesee 37162. West Tennessee Railroad: The West Tennessee Railroad dates back to 1984 operating ex-Illinois Central Gulf trackage between Corinth, Mississippi and Fulton, Kentucky that reaches into western Tennessee. The railroad is headquartered in Jackson. To contact them; 1061 James Buchanan Drive, Jackson, Tennessee 38301.